As the treatment progresses, you’ll first begin to see changes in length. Then, gradually, you’ll notice more thickness and darkness in your lashes. If you’re satisfied with your results by week 8, don’t stop there. Stick with the treatment. After week 16, you’ll see the full effect of LATISSE® solution and so will others. After that, you can talk to your doctor about ongoing use. 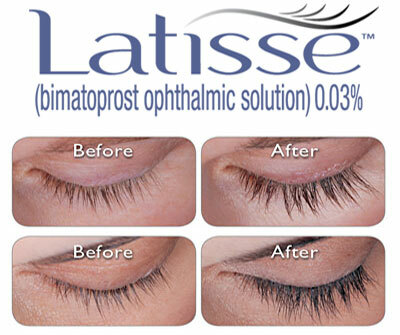 LATISSE® may have some side effects, the most common of which are an itching sensation in the eyes and/or eye redness. These were reported in approximately 4% of patients.